I was sitting in the kitchen this morning when I heard a thud and glimpsed an explosion of feathers at the patio window. This beautiful little bird had flown head-on into the glass. It twitched for a few seconds and then lay still. 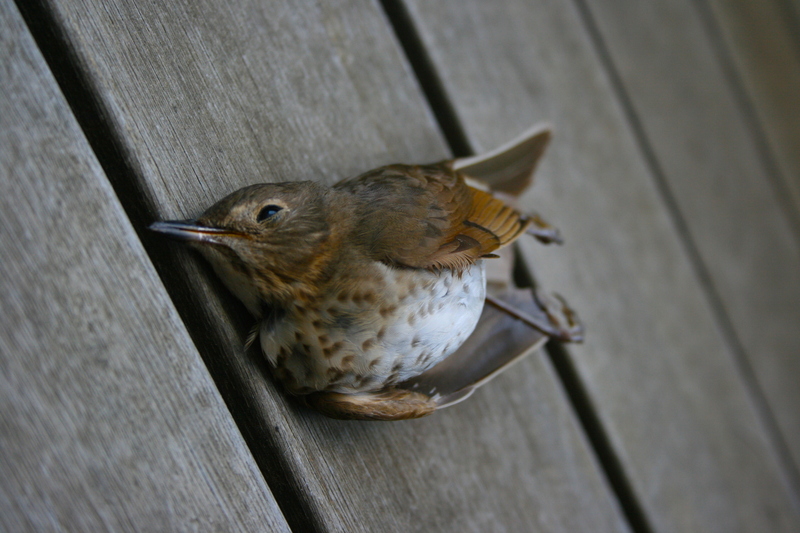 Jesus said that no bird would fall to the ground without God’s sorrow. Such an interesting–and poignant–glimpse into the divine nature! I had never appreciated it until this morning.